1 From left, former President Jimmy Carter, former President Bill Clinton, former U.N. 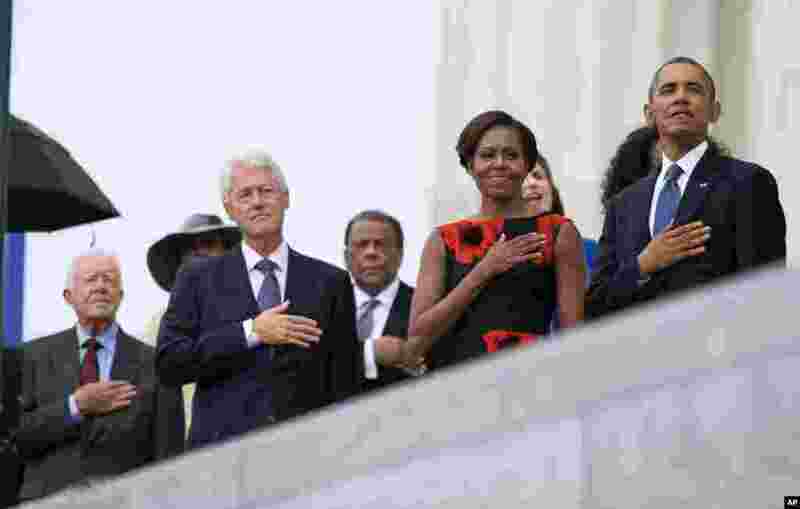 Ambassador Andrew Young, first lady Michelle Obama, and President Barack Obama stand for the national anthem during a ceremony commemorating the 50th anniversary of the March on Washington, Aug. 28,2013. 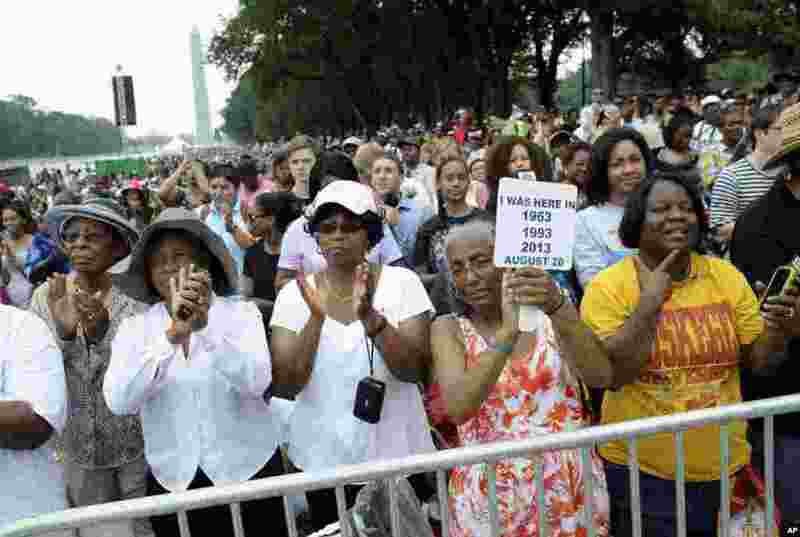 2 Three women who attended marches in the past, from left, Armanda Hawkins of Memphis, Vera Moore of Washington, and Betty Waller Gray of Richmond, Va., (holding sign) listen to the speakers during the March on Washington, Aug. 28, 2013, at the Lincoln Memorial. 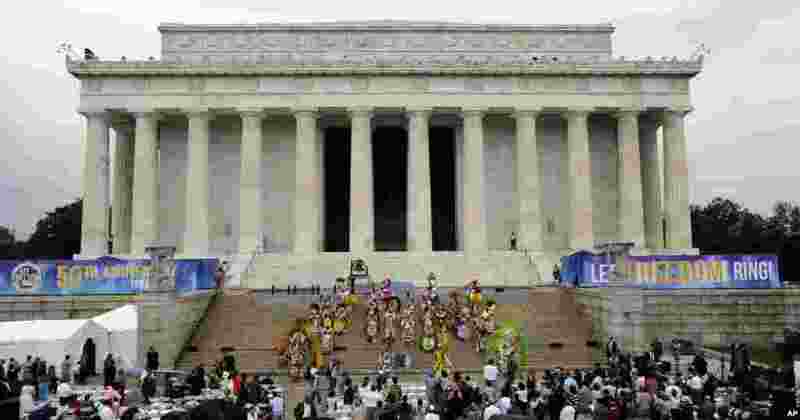 3 The group Junkaroo performs at the Let Freedom Ring ceremony at the Lincoln Memorial in Washington, Aug. 28, 2013, to commemorate the 50th anniversary of the 1963 March on Washington for Jobs and Freedom. 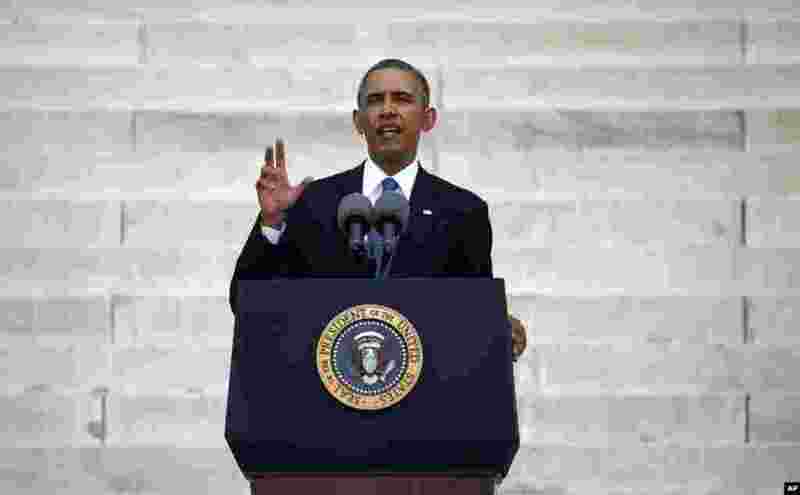 4 U.S. President Barack Obama speaks during a ceremony marking the 50th anniversary of Martin Luther King Jr.'s "I have a dream" speech on the steps of the Lincoln Memorial in Washington, Aug. 28, 2013.